I'm good with ballroom dancing! I can do the Swing, Foxtrot, Rumba and Cha Cha anytime you ask me too! (with a small fee by the way..bwahahaha) Why in the hell am I talking about these dances you've probably seen your parents or grandparents danced to? 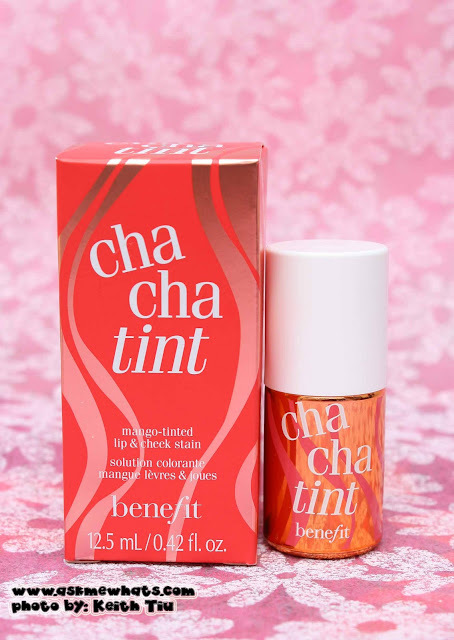 During the sneak peek, I was gifted by Benefit Philippines with my very own Benefit product of choice, it wasn't an easy decision but I went for Cha Cha tint because I have loved the Posietint and thought this would at least fair up! Was I dismayed or am I happy with the decision of taking this home? Size: 12.5 mL 0.42 US fl. oz. Others may hate the nail-polish like packaging but I like it because it is easier for me to control how much product I need without directly contaminating the product. Shows up fairly well on both cheeks and lips. The color stays until you wash your face! Some may find this too pricey for a cheek product, I personally think this is a great investment especially if the color suits you. 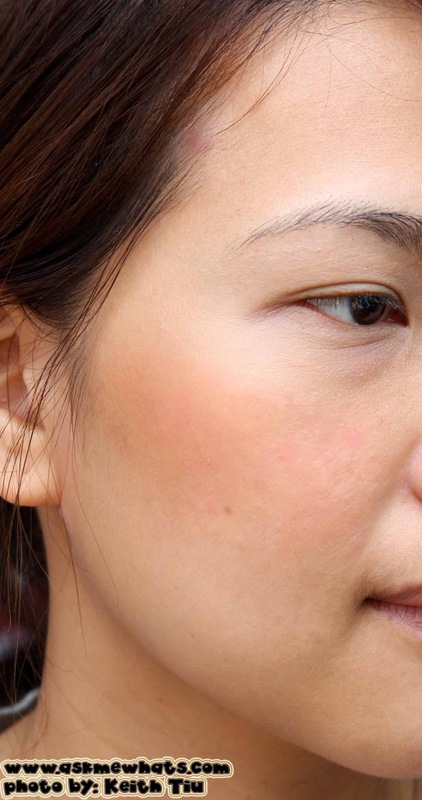 I do not need to re-apply my blush for the whole day! This bottle can last for months to probably a year! 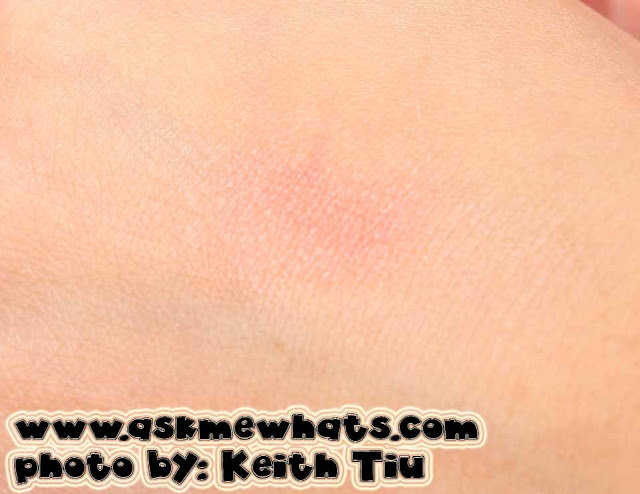 Dries up easily so if you are slow with your application, you may be left with a circular mark. If used on lips and you have dry lips to start with, it will dry out your lips even more! Can stain your fingers or brush so you have to really clean your fingers or brush well after every use. 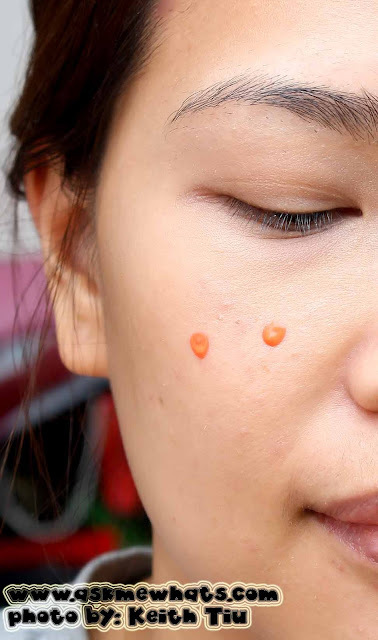 A bit tricky for newbies to balance the application on both sides of the cheeks. My favorite cheek tint for the moment! The shade suits my skin so well I am using this almost on a daily basis! I even brought this with me during the NAPBAS 2011 and partied the whole night at ZOUK and came home with the lovely flush I liked since application! 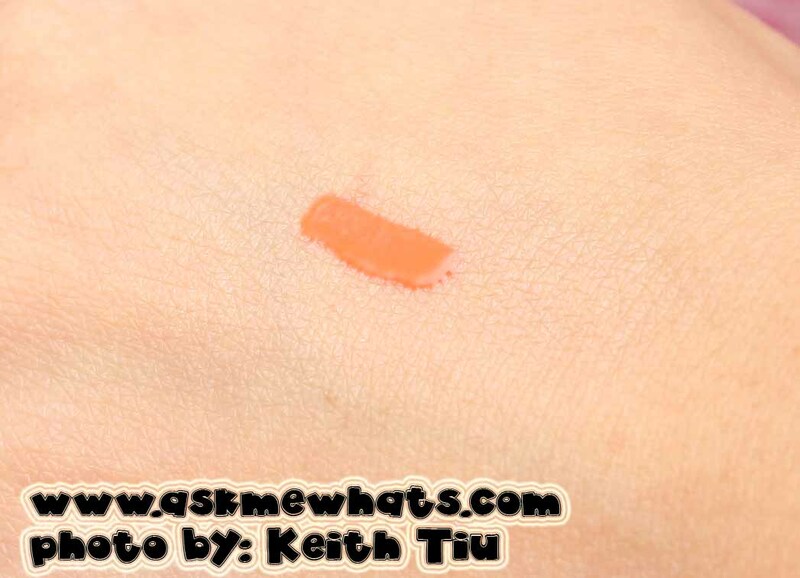 Just like regular nail polish bottle, be careful with spillage as this product stains! If you prefer to use your fingers or brush in application, you have to be fairly quick on either of the application. When to apply the Benefit Cha Cha Tint? After liquid foundation application, apply this on cheeks before you set with powder! Keep in mind to always apply this first before any powder application! Darker skinned individuals may find this to come off a bit light unless you apply more. Fair skinned individuals will find the Benefit Cha Cha Tint to show up really well. Some would have coral-shade, others would find this to be on the mango-orangey shade. If you're not used to using the applicator brush that comes with the packaging, apply a few drops on your fingers and gently (and quickly) blend on the apples of your cheeks. If you think this whole thing is too much for you, you can purchase some "sets" that includes a sample size of the Cha Cha Tint! For those who like to apply this on lips, use a separate lip brush and top it with a lip gloss or lip balm to prevent lips from drying. Yes! I will be repurchasing another bottle to be included on my makeup train case! Anyone who likes long lasting flush! At Benefit Boutique Greenbelt 5 for Php1,800.00 (approx $41.90). The reason why Benefit Cha Cha Tint goes to my "favorite" and "most reached" box is because for the fact that this is an "upper-lifter" product for my tired days. I do not even need to apply any other makeup as it gives a whole "cheerful" and "chirpy" image as shown on photo above! I can't compare this to the Benefit Benetint as I do not own the latter at the same time, both shades are quite different anyways. As compared to Posietint, Posietint is best used on "no makeup" look while Cha Cha Tint is best used if you want people to see an obvious "flush"! What's your favorite tint brand? 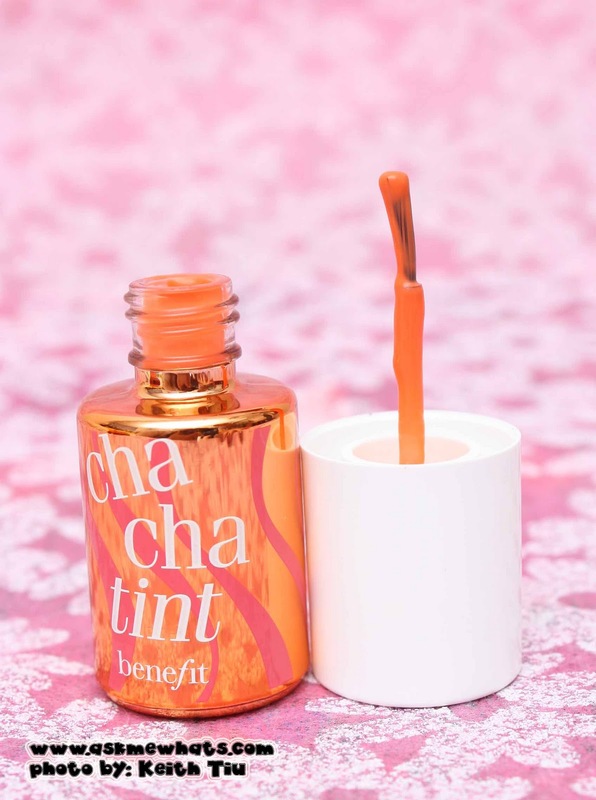 Have you tried Benefit's Cha Cha Tint? 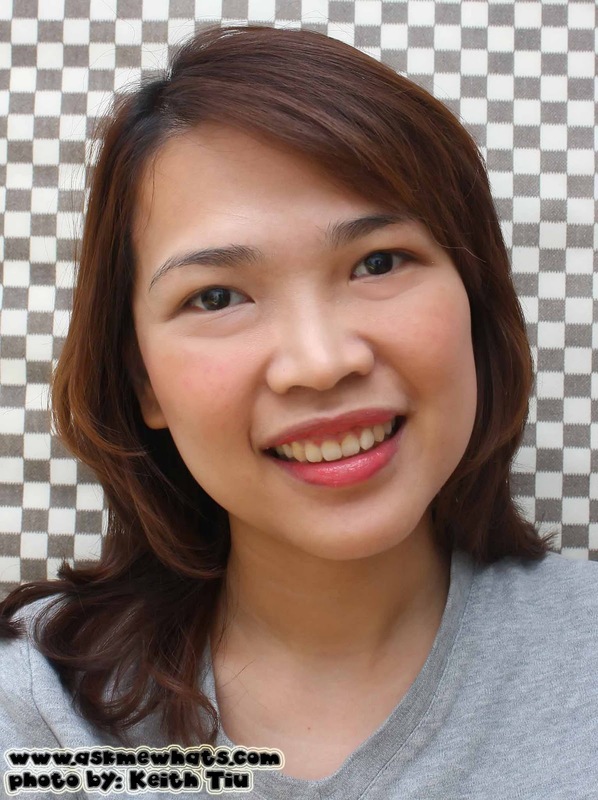 I like how orange (lip color and blush) will instantly brighten up the face. This is totally going on my to-buy list! i love it!! Ang mahal pala!!! eek! It looks gorgeous on you, love it! @Anastacia Thanks for liking the way Cha Cha Tint looks on me!! I swear, its going to look great on your porcelein skin too! Agree on the happiness for all makeup lovers when Benefit arrived our shores! @Citrine It does, I used to think PINK is the best for me but I'm leaning onto orange now! Must be an orange year for both of us! I wish you get it soon! @Katrine Girl, OO! Kaya I suggest splitting it with a friend, I even asked Angela to come up with a tiny tube so I can share some to her! As the sample size lasts me months! So this will definitely last me a year or more! @Anonymous Have you tried applying liquid foundation first then THIS? then don't set with powder if this dries up on you. Drying up your lips is normal for tints so I suggest you apply a clear gloss first and apply this tint on your lips to give a lovely natural "flush" without the dryness :) Let me know if it works! @gio Thanks Gio! :) Happy new Year!! !